In the U.S., banking is a part of everyday life. It is essential for many things you might want to do in the U.S., such as renting a home, getting a credit card and even finding a job. Credit is the ability to buy now and pay later – important for large purchases such as a car. Credit unions can help you build and improve your credit. Without first establishing a relationship with a financial institution, access to affordable financing options is limited. Payday lenders take advantage of people who need money. Credit unions can help you get the money you need, without the huge interest rates. 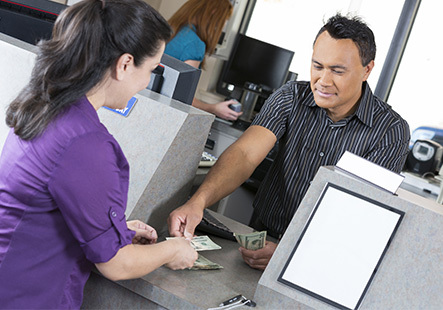 In the U.S., many parts of life rely on using a bank or credit union. Credit unions can help you make a plan to help you stay on top of bills and start saving for the future. Cash can get lost or stolen. 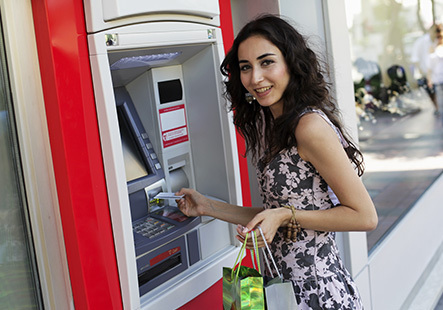 Credit unions are a safe place to keep your money – even if you move to a different place, you can still access your money through ATMs, online banking or your smartphone. With a credit union, you have secure and affordable options for sending money to friends and family, nearby or far away. Using a credit union can help you build a strong foundation for you and your family in the United States. You can join a Juntos Avanzamos credit union if you or a family member lives or works in an area served by the credit union. Learn more about membership on the website of the credit union you’re interested in joining. What Can Juntos Avanzamos Do For Me? Have you ever felt unwelcome in a traditional financial institution? You’re always welcome at Juntos Avanzamos credit unions, which are committed to serving Spanish-speaking people regardless of immigration status. We won’t expect you to know everything! Bring your questions to the credit union, and a counselor will help you create a plan for your situation and goals. Credit unions are full service, locally owned and democratically controlled financial cooperatives. They were created by the people, for the people. Credit unions are not for profit and they exist to serve their member owners and the communities where they live. I’ve never borrowed money in the US. Am I eligible to apply for a loan? Yes you are, but keep in mind that you will likely be considered for a small dollar loan or a secured loan. This will allow you to start building your credit history and establish a relationship with your credit union. I’m used to using cash. Why do I need to bank? In the U.S., banking is a part of everyday life. It is essential for many things you might want to do, such as renting a home, getting a credit card, or buying a car. It is also safer than keeping large amounts of cash at home. Can I cash a check at a credit union? What is the value of building credit? In today’s world, your credit history and credit score are valuable tools that determine why type of financing you can access, how much you can borrow and how much that borrowing will cost you. Whether you want to get a credit card to buy a computer; finance the purchase of your home; start or expand your own business; pay for your education (or your children’s), your credit score will come into play. Your credit history is also something that landlords, employers and even insurance companies rely on to make their decisions. Your creditworthiness is the key to your financial life. Building credit can be tricky. If you don’t have a credit history, it’s hard to get a loan…but how are you supposed to show a history of responsible repayment if no one will give you credit in the first place? That’s why it is critical to establish a relationship with a responsible lender, a Juntos Avanzamos credit union that can provide a secured card, or a credit builder loan that will help you establish your credit and plan for your future.